Here’s a pretty simple Christmas card that could easily be mailed with no extra postage. Although, I can’t say it was a fast card. I am just not very good at coloring so it takes me a while to make cards like this. 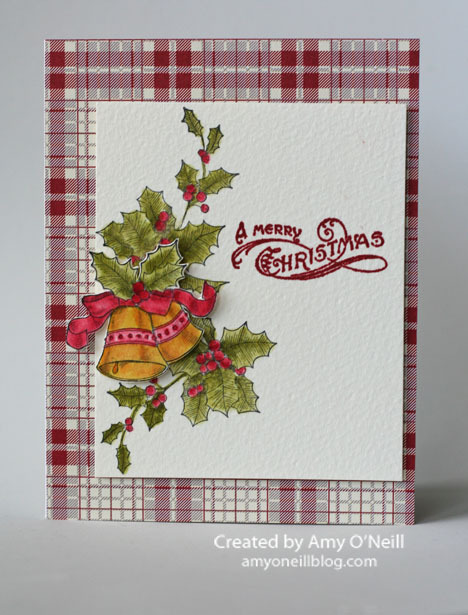 Plus, I did a little fussy cutting with the bells stamp because I wanted to pop it up with a dimensional over the rest of the holly. I don’t think I’ll be mass producing this one.